Judge Throws Out Tom Brady's 4-Game Suspension Over 'Deflategate' : The Two-Way Brady appealed a suspension handed down by NFL Commissioner Roger Goodell in federal court. The judge sided with Brady. 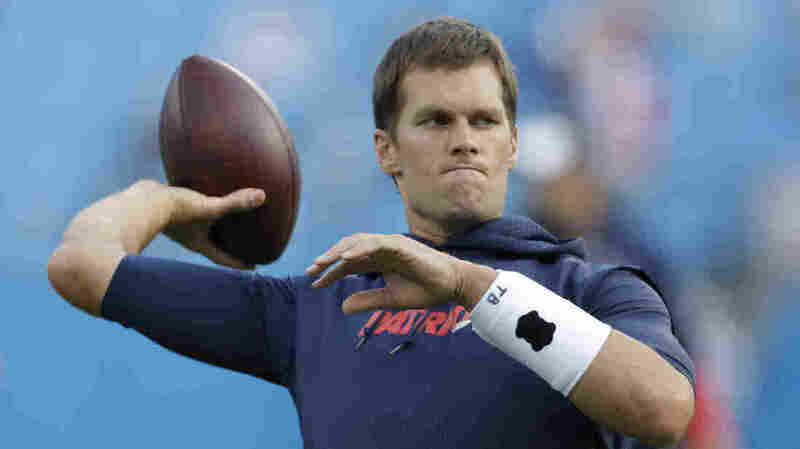 A federal judge has thrown out Tom Brady's four-game suspension over his role in "deflategate." The suspension was handed down by NFL Commissioner Roger Goodell after attorney Ted Wells found that employees of the New England Patriots deflated footballs to make them easier to grip. Goodell said Brady likely knew about the scheme. Brady appealed Goodell's decision in federal court, and today, he prevailed. In a 40-page decision, U.S. District Judge Richard Berman did not take issue with the facts of the case, instead he took issue with what he said were "several significant legal deficiencies," including giving "inadequate notice of Brady of both his potential discipline... and his alleged misconduct." Berman also found that the NFL also denied Brady the opportunity to "examine one of two lead investigators" and was denied "access to investigative files, including witness interview notes." The interview notes were fundamental to the Wells report, the judge wrote, so denying Brady access to them was "fundamentally unfair" and "Brady was prejudiced as a result." "Berman's ruling does not necessarily end the dispute. The league can appeal. Neither side's top lawyer immediately responded to an email seeking comment." NFL.com reports that the NFL will appeal Judge Berman's decision. "We are grateful to Judge Berman for hearing this matter, but respectfully disagree with today's decision," Goodell said, according to the site. "We will appeal today's ruling in order to uphold the collectively bargained responsibility to protect the integrity of the game. The commissioner's responsibility to secure the competitive fairness of our game is a paramount principle, and the league and our 32 clubs will continue to pursue a path to that end. While the legal phase of this process continues, we look forward to focusing on football and the opening of the regular season." The NFL Players Association hailed the decision. "This decision should prove, once and for all, that our Collective Bargaining Agreement does not grant this Commissioner the authority to be unfair, arbitrary and misleading," the NFLPA said. "While the CBA grants the person who occupies the position of Commissioner the ability to judiciously and fairly exercise the designated power of that position, the union did not agree to attempts to unfairly, illegally exercise that power, contrary to what the NFL has repeatedly and wrongfully claimed."